Great Lakes specializes in a number of styles I don’t particularly care for: lagers, a porter and a Christmas ale among others. But I have always wanted to like their beers, because they have a great operation–distribution is relatively localized for the amount they produce (which is a lot–it’s ubiquitous in Ohio and Michigan), there’s a heavy focus on sustainability, and they generally seem like good guys. 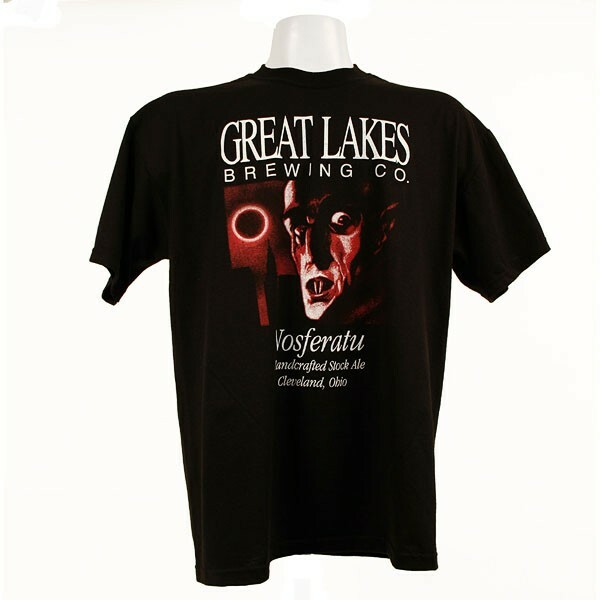 In spite of its kind of dumb name and the bug-eyed dude on the label who I don’t want staring at me while I drink (yes… I know it’s some kind of ’20s reference… it’s not the first time I’ve been called uncultured), Nosferatu finally gives me reason to like — and truly admire — Great Lakes. It’s no wonder people around here go batshit when it comes out every fall. NOSE: Huge and gorgeous, very hoppy and floral with hints of fruit (like raisins or figs). Smells like the best imperial IPA but slightly less sharp. TASTE: Super flavorful–exorbitantly hoppy and malty–the key is it’s extremely well balanced. The predominant flavors are good hops and caramel, again with a hint of a fruit I can only describe as “figs.” A little boozy, but aren’t we all. MOUTHFEEL: Crisp, with medium body and some astringence. DRINKABILITY: Very rich but drinkable. The balance makes it more drinkable than a Dale’s Pale Ale or a Bell’s Two Hearted. Upon reflection, I don’t think I would ever get tired of this beer. Blows other red ales out of the water and stacks up well against the best double/imperial IPAs. Are you sure it comes from Ohio?? Posted in Tasting Notes.Tagged 3.5 Hops, Beers Named After Vampires, Beers of the Midwest, Great Lakes, Imperial Red, Ohio, Red Ale, Tasting, Tastings. Can you find their Cellar Dwellar? We discussed it on a podcast and I’m curious to see if it’s as terrible as the Cleveland Browns.